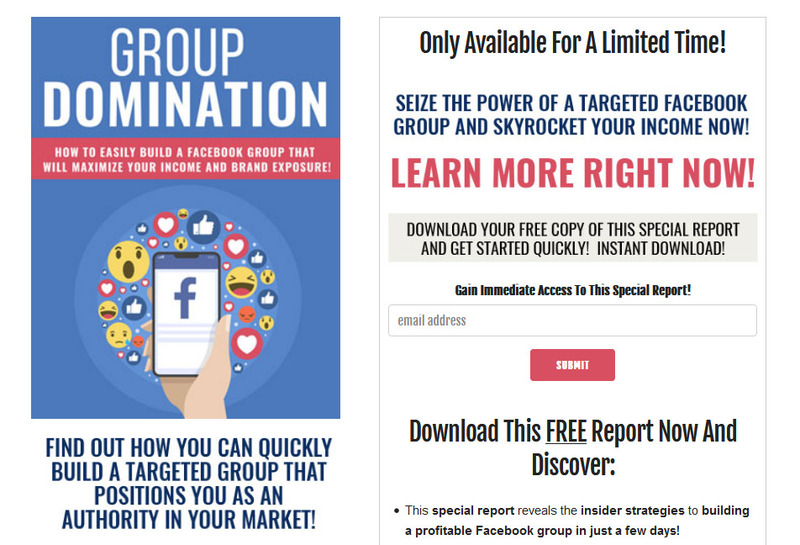 When it comes to creating a Facebook group that will stand out and capture attention from those within your market, there are a few things to pay close attention to. Don’t overlook any of this! You’ll want to hire a professional graphic designer from a marketplace like www.Upwork.com to create a Facebook cover that represents your group topic. Make sure it’s properly sized so that it looks just as good on mobile devices. Currently, the optimism size is 851 pixels wide by 315 pixels tall, but you’ll want to verify this because Facebook’s image requirements are constantly changing. Your group description is important because it tells prospective members what it’s about and what to expect. This is also where you’ll want to inject relevant keywords that will help people find your group. Highlight the benefits of joining your group and include any special features, discussions or added perks that members receive. For example, one popular group offers members with discount codes that aren’t available anywhere else. Add this to your group’s description or include it in a pinned post or announcement so that new members are encouraged to subscribe to your mailing list to stay up to date. Keep your group’s headline short and concise. You want it to grab attention and speak to your audience so keep it to 15 words or less. Create a Promotion Policy and Rules: Decide what kinds of promotions are allowed and include it in your group rules section. By default, Facebook offers a pre-written set of rules that you can easily modify or edit to fit your needs. While you may not need one when just starting out, as your group grows you’ll likely want to accept help from someone else in your niche. Tip: Consider making one of your most active and trusted members a moderator. A moderator can help keep out spam and ban problematic members, but they can’t make any important changes to your group. Next, you’ll want to add a bit of content just so that when someone joins they aren’t facing a bare wall. We’ll discuss the kind of content you should create for your group in the next chapter. If you want to grow a highly-targeted group that will help connect with you with your tribe, you’ll want to carefully create a content schedule so that you’re able to stay focused and on track. A group needs to be constantly updated, or it will become dormant very quickly. Group members expect interaction, and even though they’re likely to engage in conversations amongst themselves, they’ll still want to see posts, updates and share-worthy content from you. If you are planning to use a Facebook group as the launch pad to becoming an influencer, being active is even more important because you’ll want people to clearly identify you as the admin of the group. This position will help align your brand with being thought of as an authority in your market. When it comes to what type of content to post, you’ll want to start by researching existing groups that have successfully grown an audience. Join the groups that are most relevant to your market and conduct research. Pay attention to the posts that have garnered the most feedback and interaction. Clearly if people are responding to certain types of content, they would want more of it. This can help you come up with ideas for your own group. You should also pay attention to the type of products or services they are successfully selling within their group. 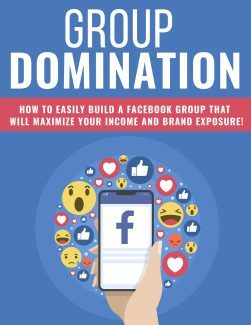 While groups are best used as communication channels that help to build brand awareness and establish authority, lots of people also sell directly within their groups. Start by paying attention to what (if anything) is being sold, you’ll be able to determine how people respond to paid offers within a group setting. Since every niche is different, this research is important in ensuring you don’t create a group with the intention to sell when most the market wouldn’t expect direct selling. While you’re researching, pay attention to repeatedly asked questions or common concerns amongst the group. These questions can serve as fantastic posts and will help you pinpoint in-demand topics that your market is most interested in.